The Minneapolis Star Tribune quoted Rick Bruesewitz, MNDNR area fisheries supervisor, on the change in regulations: “We’re managing Mille Lacs primarily as a walleye fishery. Right now there’s basically no bass harvest. So, even with a 6-fish limit, it won’t decimate the population.” If a universal sentiment existed among Minnesota’s angling luminaries on the subject, it was that the quality regulations for smallmouths were highly successful, creating a world-class fishery. Yet the MNDNR seemed to be asking those angling giants not to quibble over the many degrees between “good fishing” and “decimation” for the smallmouth population. Many called it a misguided effort to protect walleyes. 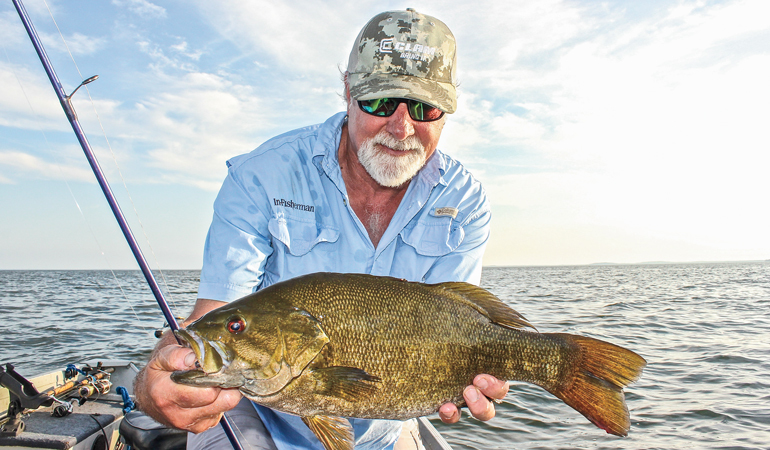 In-Fisherman contributor and fishery scientist Dr. Hal Schramm sees a growing interest in smallmouth bass, especially trophies. 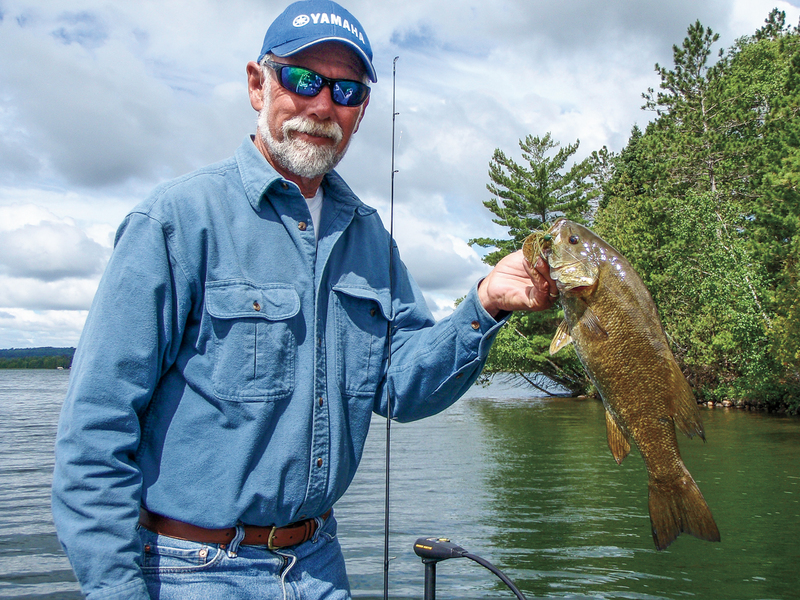 “Do smallmouth populations expand and fill the void when walleyes are over harvested?” asks In-Fisherman Field Editor and former Ontario natural-resource manager Gord Pyzer. “Yes. Nature abhors a vacuum and fills it with something. As the waters along the southern edge of the cisco range in southern Ontario, Wisconsin, and Minnesota continue to warm and become inhospitable to ciscoes, they die off. Walleyes are forced to vacate deep, cool refuges where they can conserve energy. In order to survive, they forage in warmer water, using up energy reserves, chasing scaly, spiny species like perch. Walleyes without cheeseburgers? In 2007, Professors Heinz Stefan and Xing Fang (Auburn University) collaborated with the MNDNR to study cisco. Their simulation models predicted that climate change can potentially extirpate ciscoes from 75 percent of the lakes they currently inhabit in Minnesota. In the heat of summer, dead ciscoes litter the surface of many lakes these days. Bad news for walleyes. The good news is MNDNR listened and acted. Gradually, regulations became less severe and now stand at a limit of three. Only one can be over 21 inches. All bass between 17 and 21 inches must be released. Allowing some harvest of smaller bass may improve size structure. According to Jim DeRosa, president of the Mille Lacs Smallmouth Bass Alliance, half of all bass sampled in Mille Lacs exceed 17 inches. Creel surveys indicate that interest in keeping bass remained low even after limits were raised. The average number kept each year is about 2,800. By contrast, anglers have caught and released more than 125,000 smallmouths per year for several years. According to Bassmaster Magazine, Mille Lacs is now the top smallmouth fishery in the nation. The U.S. Fish and Wildlife Service lists black bass as the most popular fish in America, with 170 million angling days per year spent chasing them. Yet the Oregon Department of Fish and Wildlife (ODFW) removed all limits for bass in moving water statewide. Washington may soon follow suit. David Swendseid held the Oregon record for a while with a 7.6-pounder. He says the Columbia is the best smallmouth fishery in the Western United States. Bass are increasing in number. Salmonid fisheries are most popular and historically significant. But something is two-fold cray-cray about this decision. It’s meant to protect coldwater species, but the new regs apply to waters above dams that coldwater species can’t access. I’ve been down the John Day River for bass with Steve Fleming of Mah-Hah Outfitters. Beautiful high-desert environment where 100-fish days for smallmouths are common. Meanwhile, the Oregon Health Authority issued an advisory warning people not to eat bass at all because of mercury contamination. Deciding to remove all limits for bass up there, where salmonids can’t go, seems a strong indicator that the ODFW is encouraging people to kill bass everywhere—bass they shouldn’t eat. Should we pester spawning bass? For Pyzer, the answer is obvious. 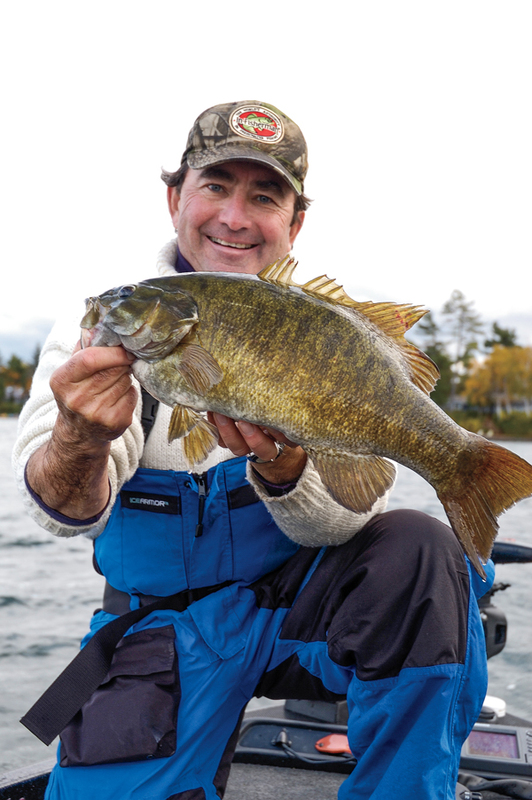 “Only one area in the entire world I am aware of has a spring closure of the smallmouth season to protect spawners: southeastern, southern, and southwestern Ontario,” he says. “That includes the area north of, and including, Lake St. Clair, Lake Erie, Lake Ontario, and the St. Lawrence River. This is the same area that Dr. Mark Ridgway of the Ontario Ministry of Natural Resources (OMNR) has carried out his ground-breaking bass research on the effects of angling for nesting male smallmouth bass, and where Dr. David Philipp, from the University of Illinois, and Dr. Bruce Tufts from Queen’s University, teamed up with Ridgway and others in OMNR on smallmouth research. In-Fisherman Field Editor and former natural resource manger Gord Pyzer advocates for science-based fishery management. Photo courtesy Gord Pyzer. 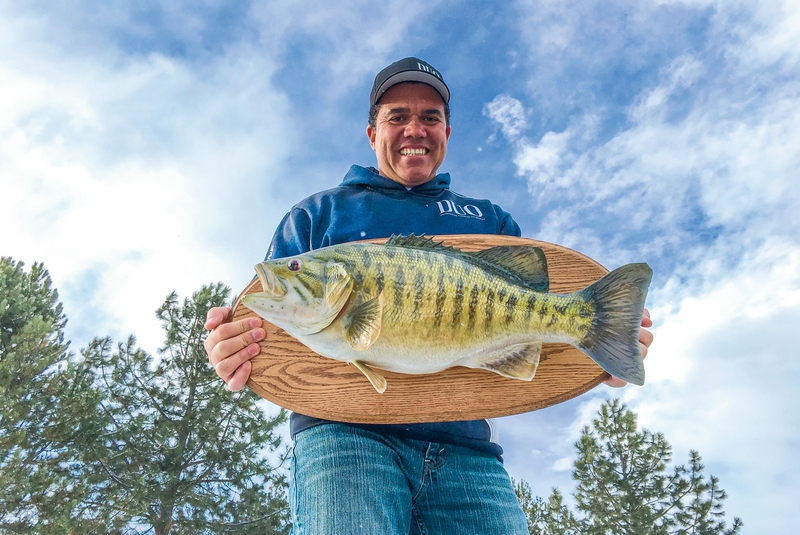 “Ridgway and Phillip told me repeatedly there are no redeeming qualities whatsoever in fishing for nesting northern-range bass in spring, when only 30 percent of mature males are predetermined a year in advance to complete the spawn,” he says. “Remove them from the nest and there’s nothing coming in behind them. “Now, tell me, where is the best smallmouth fishing?” Pyzer asks. “Of, course, in this very same area, in St. Clair, Erie, Simcoe, and the St. Lawrence River. At the recent FLW event on Lake St. Clair, the winner and all top-ten anglers fished the Canadian shoreline. Winning weights for 20 smallmouths approached 100 pounds. Chad Grigsby won with a 20-fish limit of 97.8 pounds. Coincidence? When Bassmaster and the FLW hold events on Lake Erie, the winning anglers typically head north to the Canadian shoreline and Point Peele for winning bags. Coincidence? “On Lake Simcoe in the fall, at the Bass Pro Open, the Canadian record winning weight for five smallmouths is 31.5-pounds—an average weight of over 6 pounds. In September at the Renegade 1000 Island tournament, the winning weight was 75.4 pounds for 15 smallmouths. More than 32 teams had 3-day total weights exceeding 60 pounds—over a 4-pound average. The fish were all caught in Canadian waters where the spring spawning season is closed. Isermann, working in Wisconsin, has studied smallmouth recruitment intensely. “In our northern zone, we have a catch-and-release period only during spring,” he says. “During that parental-care period, anglers are catching vulnerable bass. But I think the risk lies along a gradient. Ridgway works mainly with oligotrophic-type lakes, where the risk is higher. Wisconsin’s environments are different. Smallmouth populations are more productive in mesotrophic lakes. Recruitment isn’t as much of an issue. But harm to the population is also related to the amount of pressure. It requires a certain number of anglers impacting the fishery to impart risk. Mark is an excellent scientist, and knows his systems. What’s important to me is how anglers self-police. There’s a trade-off where you’re giving up that great angling opportunity. If it’s having a negligible effect, why take away that fantastic angling opportunity? Pyzer , Schramm, and Isermann are all right. If fishery management in each region is truly science based, smallmouths will continue to thrive nationwide for the foreseeable future. *In-Fisherman Field Editor Matt Straw, Brainerd, Minnesota, has been writing for In-Fisherman for over three decades.